Come February-March, within India’s 248 million households, there’s a palpable sense of anxiety, fear and nervousness as 30 million students ready to write the all-important make or break class X and XII board exams conducted by the country’s 31 examination boards, and another 200 million children prepare to write year-end school exams. Across the country, families are feeling the heat with parents and teachers reporting a spike in children suffering exam-related anxiety ranging from panic attacks, blackouts to fatal suicides. The burden of parental expectations, unwieldy syllabuses, rote-rewarding examinations, and surging admission cut-offs in India’s too few best colleges and universities are pushing children and adolescents into irrational dread of exams. According to a study published in the US-based International Journal of Psychology and Behavioral Sciences titled ‘Academic Stress, Parental Pressure, Anxiety and Mental Health among Indian High School Students’ (2015), 81.6 percent of secondary school students in India suffer examination-related anxiety. Moreover, data published by the National Crime Records Bureau in 2016 reveals that 2,646 students committed suicide in 2015 due to “failure in examination”. The national student exam stress barometer is so high that it has prompted prime minister Narendra Modi to convene town hall-style meetings with students to motivate and counsel them. Initiated last January, this year ‘Pariksha ke charcha 2.0’ (examination conversations) was held on January 29 in New Delhi and attended by over 2,000 students, parents and teachers from across the country. During his pep talk, Modi advised students not to learn merely for exams. “Our education must equip us to face various challenges of life,” he said, chastising parents who impose unrealistic academic expectations on their children. “I again advise parents to be a factor of motivation and encouragement for your children. Only when you take it in spirit and encourage your child does a 60 percent holder move towards 70 and 80 percent. If you only criticise and scold your child for not scoring 90 percent, you will demotivate your child to start believing that she is incapable. This will take children’s grades further down,” says an official English language translation of prime minister Modi’s second examinations conversation. In this connection, it’s noteworthy that the prime minister has also authored a book Exam Warriors (2018) which provides time management, concentration improvement, stress management and confidence-building advice to students. The prime minister’s advice to the country’s parental community to go easy on their children is timely. In recent times, particularly after the turn of the century, the new acquisitive upwardly mobile middle class has begun to entertain huge dreams for their progeny. This is confirmed by the study published in International Journal of Psychology and Behavioral Sciences (cited earlier). “Academic stress is positively correlated with parental pressure and psychiatric problems, while examination-related anxiety also is positively related to psychiatric problems,” say the authors. Sentient parents are also beginning to appreciate their shortcomings. “In India, parents tend to place too high a premium on academic excellence and consequently exert excessive pressure on children to do well in exams. But the essential role of parents is to provide a supportive home environment where children can learn and prepare for their exams. To alleviate exams stress and anxiety, it’s important for parents to provide emotional support to their children,” says Aruna Sarawgi, a Guwahati-based rehabilitation psychologist and counselor. 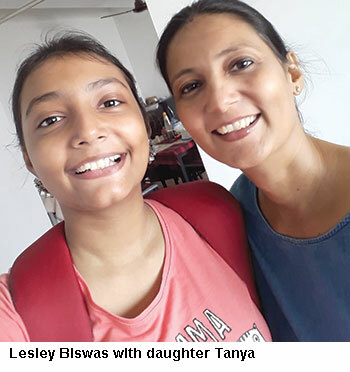 Lesley Denise Biswas, a Kolkata-based journalist whose daughter Tanya, a class X student of the CISCE-affiliated Our Lady Queen of the Missions School, is getting ready to write her ICSE board exams, concurs. “Much of the stress during exam season is caused by panicky parents who transfer anxiety to children. Parents themselves need to de-stress and enable their children by providing supportive home environments and healthy nutrition. Every child’s capabilities, strengths, weaknesses, concentration spans and interests differ. Parents should abstain from drawing comparisons and nagging their children to study constantly,” says Biswas who has steered clear of WhatsApp exam groups where parents discuss their children’s “study related issues”. With the student stress epidemic attracting media headlines and national attention, a rising number of schools in the country are also beginning to pay greater attention to providing child counseling, teacher mentoring and stress management workshops. Megha Solanki, a student of the Cambridge International (UK) affiliated Ram Ratna International, Thane (Mumbai), who topped her school in the class X IGCSE 2018 exam, is appreciative of the support and advice provided by the school’s counselors. “Though I had always been an above average student, last year I suddenly developed exam phobia and my self-confidence plummeted. Fortunately, the counselors at my school coached and motivated me. Yoga classes and sessions on mindfulness also helped in alleviating my examination phobia,” she recalls. 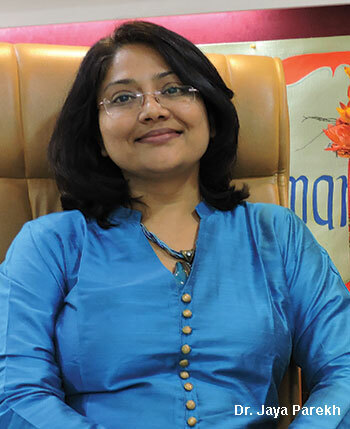 Megha advises students to take regular breaks while preparing for exams and to exercise, play and indulge in co-curricular — music, television — pursuits. “Even though I had an intense study schedule, I made sure I got some time away from books, to re-energise myself,” she says. The general consensus of informed opinion is that parent education needs to be complemented with life skills and stress management workshops for students. Tushar Ravi, a manager at the State Bank of India, Missamari branch (Assam), urges school managements to organise positive thinking, life skills and career awareness and guidance workshops for children, and to simultaneously motivate teachers to mentor secondary students. “Teenage children are very vulnerable and need to be given support and mentoring to manage the burden of parental expectations and stress-inducing board exams. In the new millennium, a mind-boggling range of new career options are available to students, and parents and students need to be made aware of this new careers explosion. In my own case, I averaged only 71 percent in the class X exam and 52 percent in the class XII boards. But, it didn’t stop me from chasing my dreams, because thanks to my teachers, I knew that I had several career options other than engineering and medicine available to me,” says Ravi who went on to successfully clear several bank probationary officers’ exams. 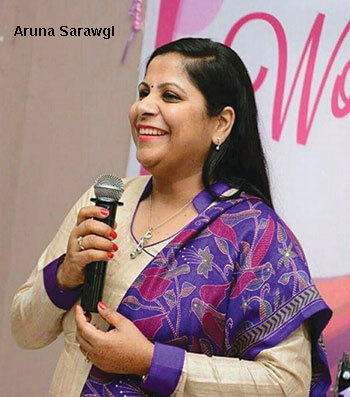 Rehabilitation psychologist Aruna Sarawgi (quoted earlier) emphasises the vital role that professionally-qualified counselors play in helping teenagers manage exams stress, planning study schedules and drawing up balanced time management plans. “If parents are hesitant about their capabilities they should consult a professional counselor. They are trained to help students devise study schedules and suggest ways and means to improve concentration and assuage stress. For instance, EFT or Emotional Freedom Technique is a simple but powerful meridian points tapping therapy that relieves stress and anxiety. It can also be practised at home with the help of YouTube videos,” says Sarawgi. Jumping on the de-stressing bandwagon, even the pan-India Central Board of Secondary Education (CBSE) and Council for the Indian School Certificate Examinations (CISCE) have announced breathers for students writing their board exams. On January 10, CBSE announced that from the academic year 2020, class X students can choose between two difficulty level maths papers, while CISCE has revised the pass marks for its ICSE exam from 35 percent to 33. However beyond these cosmetic gestures, the country’s national exam boards have done little to reform the rote-centric exam system which assesses students memorisation rather than thinking and logical skills. Therefore with make or break board exams continuing to hang over students heads like a Damocles sword and admission cut-offs into the country’s best colleges and universities rising year-on-year, the pressure on students to perform well in exams is unlikely to abate in the near future. In the circumstances, the onus is on parents to provide cheerful support and encourage children to be in good physical and mental shape to give their best. Rahul George, a Bangalore-based life coach and founder of Get Coaching Now, lists the tell-tale signs of exam phobia and what parents can do to alleviate exam-related anxiety. Avni Kaul, a Delhi-based nutritionist and wellness coach, offers parents useful advice to ensure children’s physical well-being during the exams season. Drink at least two litres of fluids — water, homemade fruit juices, coconut water, lemon water or buttermilk. Avoid aerated drinks. Two cups of tea or coffee per day is enough. Eat small portions at regular intervals and avoid foods rich in sugar, oil and fat. Take frequent study breaks to rejuvenate. It’s good to go for a walk, do light jogging or engage in a sport or recreational activity during the break. Don’t watch television or browse social media before going to bed. Never skip breakfast. It should be a combination of carbohydrates and proteins such as vegetable daliya with a glass of milk, fruit smoothie, whole wheat sandwich, paneer and/or veggies wet sandwich, vegetable poha with soya granules, egg, toast, oats with yoghurt and fruits, etc. Don’t skip meals as it will prevent the body and brain from functioning optimally. Brain foods improve concentration, focus and memory. Of course, these are neither magical nor instantly efficacious. Therefore, it’s advisable to include them in the daily diet through the year, or at least the pre-exam and during-exam months. 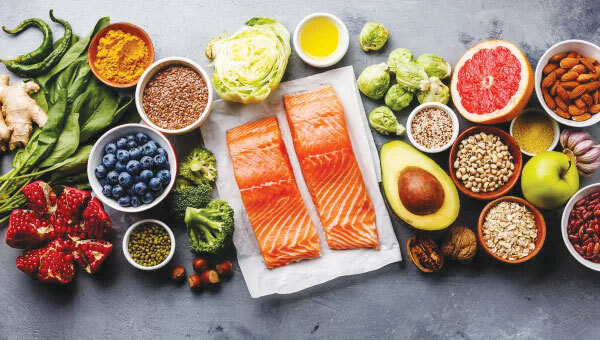 Some easily available brain foods are walnuts, avocado, eggs, broccoli, whole grain products (whole wheat rotis and bread), fish and dark chocolate. Fish liver oil is a rich source of brain food and is available in natural fish and as cod liver oil capsules. On the day of the exam, your child needs energy and alertness. A balanced breakfast and lunch that includes carbohydrates, protein and energy will help. Also consider including milk/milk products, eggs, nuts and fruits. A tetra-pack or bottle with natural fruit juice or flavoured milk can be taken to school for an energy boost before the exam as remaining hydrated is essential for optimal brain function and energy levels. Heavy meals with a large quantity of carbohydrates and oily food can cause drowsiness. For example, a heavy lunch can create lethargy during the afternoon exam. Too much caffeine in coffee or soft drinks can cause tiredness or nervousness. Here are some food ideas to ensure your child gets the right nutrition during those crucial exam prep days. A box of assorted nuts and dry fruits. They are easy to eat and provide protein and energy. A big bowl of cereal. Choose healthy options like muesli or cornflakes. Add fruit, raisins, honey and nuts to pack in a variety of nutrients. Vermicelli or sabudana kheer. Cooked with a lot of nuts and raisins, it is an Indian variant of porridge. Powdered almonds can also be added.